Yesterday we have posted about a phone which will be the cheapest smart phone available in the market. The price of the phone was expected to be just INR 499 but the price is just half of that. 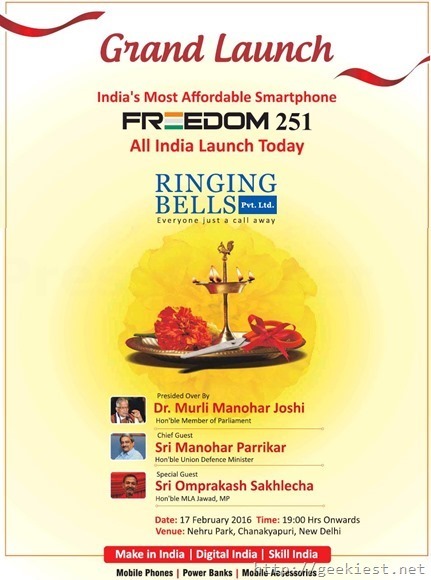 And today Ringing Bells the company launching this product have released news paper advertisements like their smart 101 phone which was the cheapest 4G supported smart phone in India. 8GB of internal Storage and support up to 32 GB od SD card. The ad. says the device can be serviced at more than 650 service centers across India. 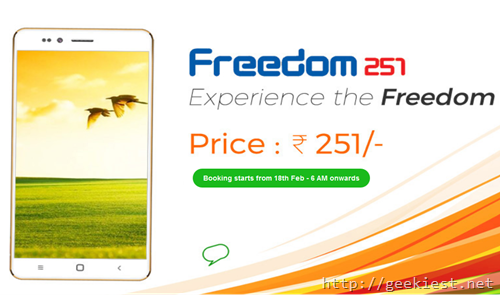 Price of the phone will be just RS, 251 that is less than 4$. 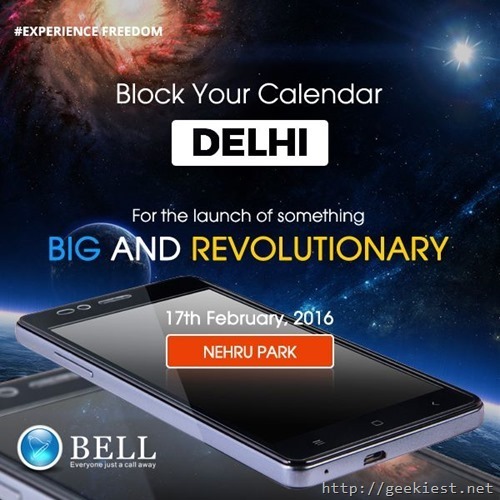 The Device will be unveiled by the Indian Union Defense Minister Manohar Parrikar on 17th February 2016, at Nehru Park, Delhi, the event starts at 7.00 pm. Member of parliament Dr. Murli Manohar Joshi also will participate on the event. 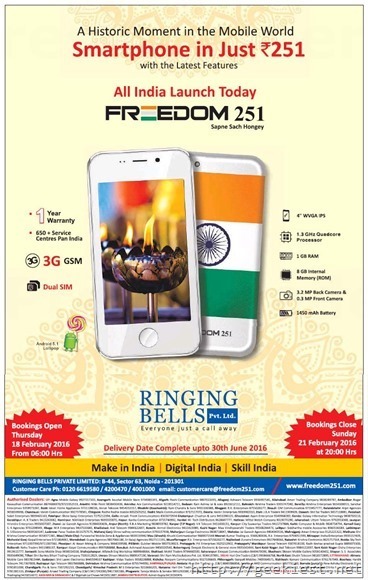 The phone seems to be connected with Central governments Make in India, Digital India and Skill India programs.